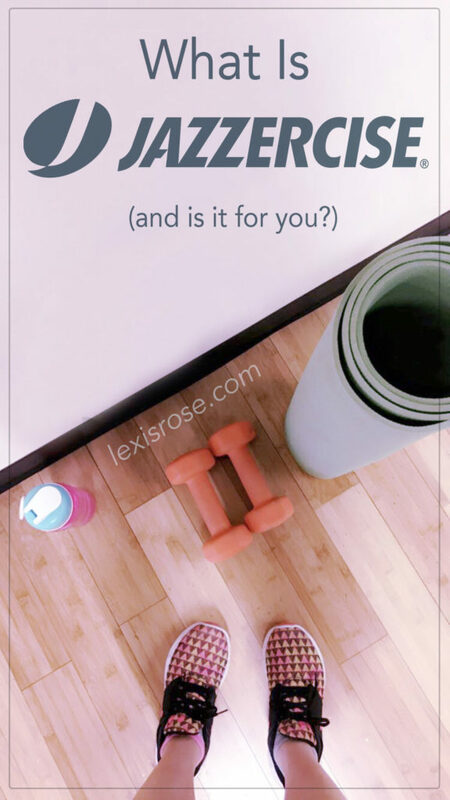 If you haven’t read the introduction to this “How To Choose the Best Workout For You” blog series, check it out here! Many people hear “Jazzercise” and think of the 1980’s. Perhaps you can visualize your mother in a neon leotard and leg warmers getting ready for her weekly class. Judi Sheppard Missett created Jazzercise in 1969, which now boasts 8,300+ franchisees (basically their name for “instructors”) teaching 32,000+ classes each week around the world. Apparently, the average student sticks with classes for about seven years! Jazzercise is a class-based dance workout, led by a qualified and trained instructor. The dance “moves” range in complexity, but are nicely balanced between easy-to-learn yet challenging-to-master. 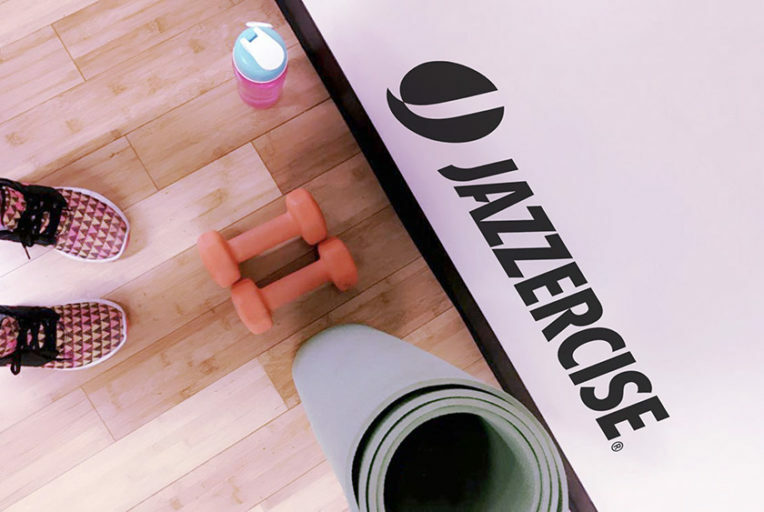 You don’t need a dance background to enjoy Jazzercise, though, a sense of rhythm may make the experience more enjoyable. Jazzercise follows a pattern of HIIT*, combining fast bursts of strength exercises with heart-pounding cardio moves. It blends a bit of yoga, kickboxing, pilates, and hip-hop into the mix as well, to create a one-of-a-kind workout that truly feels like a dance party with your friends. …are broken down into easy-to-remember sections and repeated throughout a certain verse or chorus. Then, you move right into the next song, complete with new and different dance moves. The workouts don’t get boring, either, as the music changes quarterly to incorporate new ‘hit’ songs and moves. …the instructor pauses so you can grab a yoga mat and some small dumb bells if you would like. This is the time to finish up the workout with strength exercises. I noticed we focused primarily on abs and glutes here. These exercises are set to slower-paced music, in order to begin the cool-down process and gradually reduce your heart rate. You generally finish a class with some stretches to loosen up your muscles after a fast and tough workout. Throughout the class, the instructor completes the same workout while scanning the “audience” to shout out helpful, motivating tips to get the most out of the moves. Some instructors will encourage the class to make noise, clap, sing along, and anything else to have a good time! … then Jazzercise may be the best workout for you! While Jazzercise is a great workout and does incorporate good exercise techniques, it may be a bit less impactful than some people may require. That’s not to say you won’t get a good cardio or strength workout from Jazzercise (because you may get both). Nevertheless, you may find the strength aspect slightly lacking if you are accustomed to extreme burpees, squat jumps, pull-ups or muscle-ups. Another point to consider is that, though the instructor updates the music and moves every three months or so, someone who thrives on diversity may find the overall concept of a Jazzercise class mundane after a while. And, I might as well mention that if you find it tiresome or even annoying to try to follow a rhythm, you may not thrive or even enjoy this type of workout. And, if you’re not enjoying it, you probably won’t have your best workout. As always, thanks for reading! XOXO.